December 30, 2018 by Laurie 14 Comments This post may contain affiliate links, which means if you click on a link and purchase something, I may earn a small commission (at no additional cost to you.) See my disclosure policy HERE. 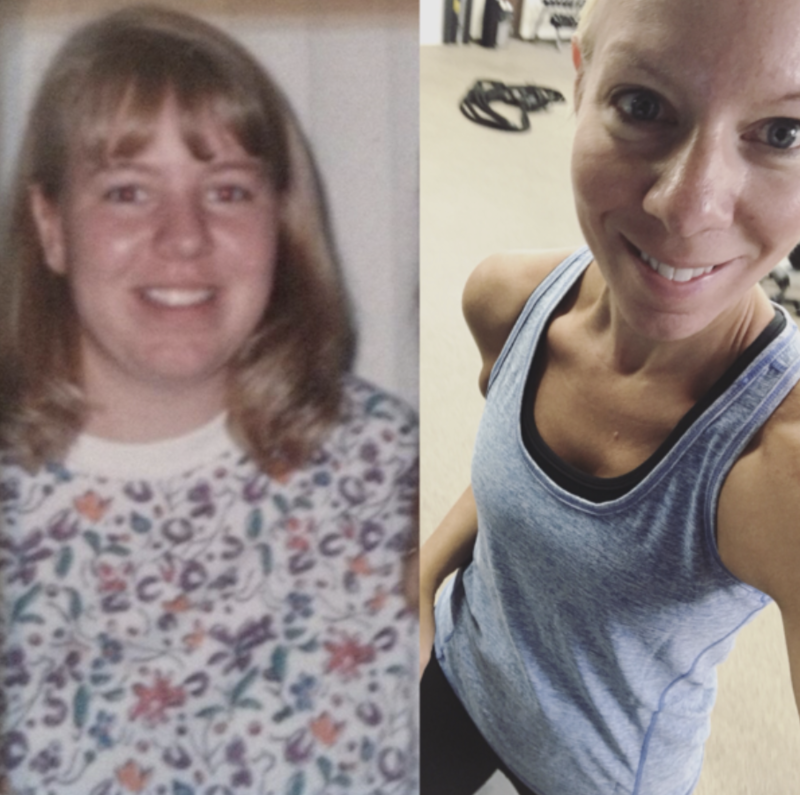 UPDATE: The weight loss program I'm currently using (AND LOVE!) is opening up a new round BEGINNING TOMORROW, JANUARY 14th! SEVERAL PPP readers and a few of my friends went through the last round and have seen SO much success (I've gotten several emails and it just makes my day!) If you've been struggling with your weight, I promise this will change YOUR life too ~ go HERE to learn more. So often I'm asked about my weight loss story, and since it's the New Year (and everyone like me is looking forward to an amazing 2018), I decided this was the perfect day to share with you. Way back in 1995 I made a New Years’s Resolution that actually stuck. I was tipping the scales at 225 as a sophomore in college, and for the first time ever (I really have no idea why), something clicked and I decided I was just done with being overweight. I’d always been heavy – I never knew what it was like to shop in the regular size kids department (at age seven I remember my mom moving me up to junior clothing, and shortly after that to women’s and plus size clothing), and it was just part of who I was. I never went to prom, never wore a fancy dress, never even had a single date as a chubby girl. And almost twenty five years later, I still every so often see that chunky girl staring back at me. But somehow I got started, and not so slowly the weight dropped off. By June I had dropped a whopping seventy-five pounds, and I’ve maintained that drop in weight for almost twenty five years now, give or take ten (um … twenty?) pounds or so. So what did I do? I think I decided that New Year that I was just done with being incredibly overweight. I was miserable, had lived my life miserably, and decided I wanted a different future for myself. Over the years to maintain my weight loss, I've tried just about every diet out there because I refuse to go back. I've done Weight Watchers, joined friends in weight loss challenges, taken the Weigh Down Workshop, and the 21 Day Fix but this last year, I finally landed on the perfect I'm-going-to-live-like-this-forever LIFESTYLE (not diet!) for me. And I wanted to find something that truly would work for anyone. I WOULD GIVE ANYTHING TO HAVE FOUND THIS PROGRAM TWENTY YEARS AGO. 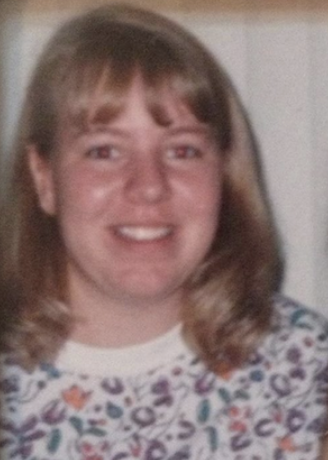 This was me as a junior in high school when I was probably around 190 pounds and stopped taking pictures (full size pics were banned completely!) I topped out at 225 as a sophomore in college. 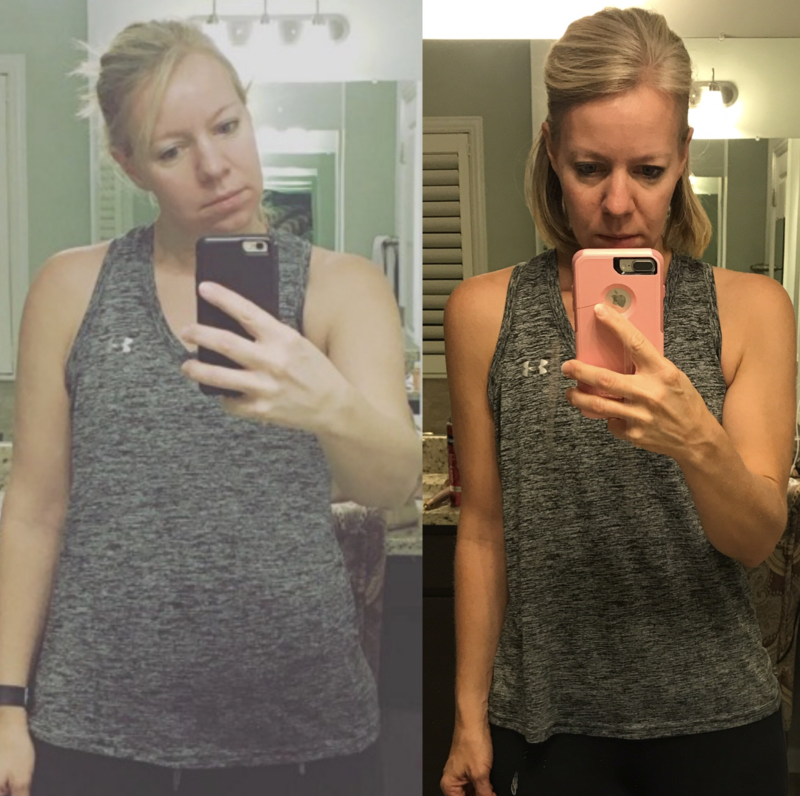 Over the course of the last two years between the 21 Day Fix and The Faster Way To Fat Loss, I've managed to drop almost twenty pounds to my lowest weight EVER (at age forty-two!) and I've maintained that weight loss without feeling deprived. If you've struggled with your weight ~ my heart aches for you to find a plan that guarantees success. I know how awful it is to always feel like the chubby girl. I know what it's like to feel hopeless and like you have no control. But I also know this will work for you if you're just willing to commit for a few weeks and really do it. just like in our finances, WE HAVE CONTROL over this area of our lives. you and I just need to learn how. If you want to be stronger, more confident, lean, fit and toned, THIS PROGRAM IS FOR YOU. 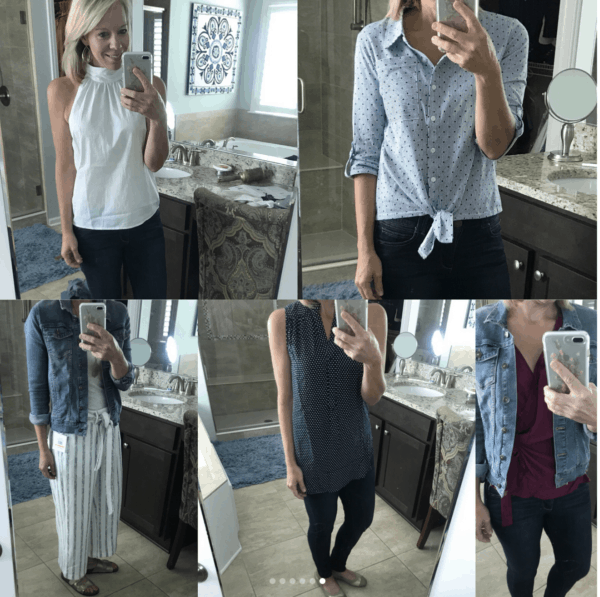 This has been an amazing program for me – it's not super penny pinched (the cost is $199) but it's WORTH IT especially when you think of other places that we can so easily waste money (and this program is so encouraging!) You have to be willing to work, but if you do I know you'll see results. I'm praying an amazing 2019 for you! Note: There are DEFINITELY less expensive options to losing weight, but for me this has WORKED, and was worth every single penny. However, if your finances are tight right now, do some research and see what other methods are out there for you, and determine to pinch a few pennies in your budget to maybe join at a later date! This program has been incredibly successful for women who have a foundation of basic working out and under 100 pounds to lose. The program is challenging and will require commitment. If you have more than 100 pounds to lose and have not worked out in a long time, then the program will work for you, but will require some modifying. If that’s you, you will start with the nutritional cycle then ease you into our workouts. (I personally would recommend following the diet and adding a simple walk each day to ease into working out.) This program is NOT for: women who are breastfeeding newborns, those who are significantly underweight, those who have struggled with an eating disorder, or those who are suffering from significant adrenal fatigue. And great job on everything you have done! I wish I was ready to start but my son is in the hospital a lot and I can’t commit yet. I have followed you for a couple of years on FB. I love the recipes, budgeting tips and sales you share. More than anything, I follow you for your honesty, family values and your Christian walk. I appreciate it so much! I am NOT a low fat diet person. I know hormones need healthy fat to function properly. What is the stance on fats in this program? I teach at 4:00am. Can I have coffee, with cream, while in the fast? What is the total financial cost? What do I pay after the initial 12 weeks? Is it 12 weeks??? I have a rowing machine, some workout videos and 2 sets of hand weights. Will that work? I have no gym in the town I live in? I now you are not the inventor of this program, but I appreciate you candid story about your experience and I hope you will be give me some honest feedback. Thank you again for all you do on your blog and FB page. It is so encouraging to a SAHMama like myself! Hi Laura – I appreciate you taking the time to comment so much! You do not do low fat on this plan (at all.) Instead you do carb cycling, with 2-3 days a week of low carbs + carb cycling on other days. You do fast until 12 – I wake up at 4:30 AM and usually have my coffee (with low calorie hot chocolate!) at 9, but still try not to have a meal until 12:30 or so, then I finish eating around 6:30 – 7 PM. I think it may be worth just trying to do the fasting portion (eating in a 6-7 hour window) for now, however I think Amanda gives SO much more information in the course, but it is an investment – I believe the cost is $199. I would try the fasting first (and limiting carbs) and then see how it goes – I hope it goes so well for you – I know figuring out our bodies after having babies is so hard, but you’re at such a great place to start! Hope that helps! I’m so interested in the FASTer way to fat loss— can you tell me what the protein intake looks like. I don’t like most meat (but I’m not a vegetarian… just crazy picky) and most diet plans revolve around meats I won’t eat. Thank you for sharing your well with us! Hi Laura! If you eat chicken or even eggs those could fulfill your macros to get you to the right place? I don’t eat a ton of meat either, most chicken (and eggs!) Does that help at all? Thanks so much for sharing your weight loss journey. I was always the skinny kid and desperate to gain weight. But when my first child was born premature and was in the hospital for 5 months, 2 days before he passed, I became an emotional eater. I have had a significant weight gain and now have medical issues to top it off. I know exercise is extremely important but have problems with walking, etc. Will this “life style change” still work even if exercise is not done? I know I will feel better if I would lose 75-80 pounds. Help? By adrenal fatigue do you mean someone like me who has been on steroids (Prednisone) for over 25 years and now my adrenals don’t work? Hi Kristen! This is VERY different than the Weight Down Workshop – it has a specific plan set up, and you follow it pretty closely. 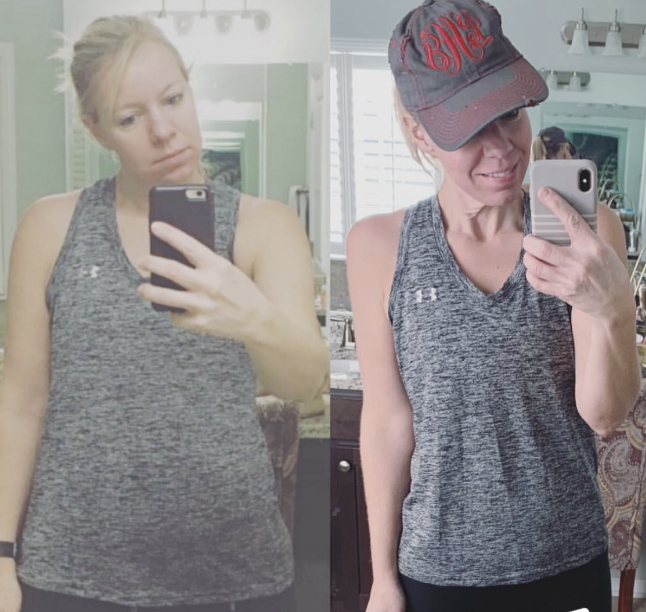 You do have to follow it for it to work, but I love that the strategy DOES work, and has made me realize how often I’ve eaten in the past just because it was time to eat again – not truly because I was feeding my body well. I really have loved this program and feel like I’ll do it forever – it’s been so life changing for me! I am insulin resistant and have about 20lbs to lose. I have been doing low carb for a while, so I think this program could work for me. I am looking for my “forever lifestyle”. I am tired of trying different programs. I was wondering what maintenance is like after the 6 weeks. Also, I was wondering if you eat differently from the rest of your family. Hi Amber! I’ve been maintaining this now for 2 years and totally feel like it’s a “forever lifestyle” – I don’t think I could always do low carb, so this is a great balance for me and most importantly it WORKS!